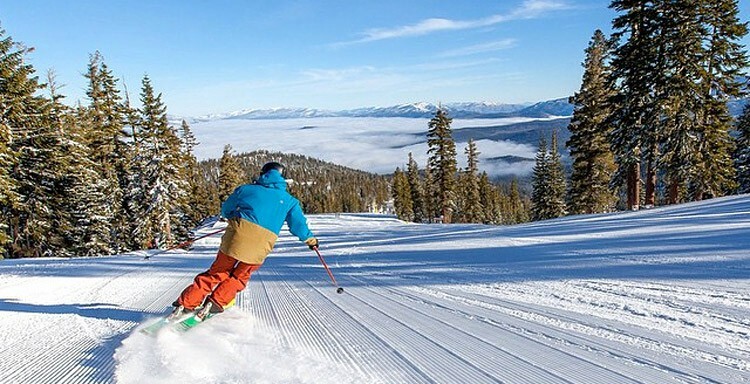 Recyclist and SWANA are excited to offer SWANApalooza conference attendees the opportunity to spend a day skiing in the iconic Lake Tahoe area. Sign up below to join us for a day at Northstar California, which offers stunning views of the lake, ski terrain from beginner to advanced, and a variety of activities and amenities. Eager to show off our beautiful backyard, the Tahoe-based Recyclist team will be your tour guides for the day, sharing local history and stories, and showing you the best trails on the mountain. The event will be capped at 25 people. Spots will be filled on a first-come, first-served basis. Skiers and snowboarders alike are welcome. The group will depart Reno by bus in the morning (approx. 7:30am), get outfitted with equipment, then break into groups for skiing and exploration. We will all convene for an on-mountain lunch midday. In the afternoon, there’s time for more skiing, or enjoying Northstar’s village and shops. We’ll be back at the hotel between 4 and 5pm. Lift ticket and transportation without equipment rental – $130 **Please note: if you select this registration, you should plan on bringing your own equipment. Lunch and incidentals will be paid individually. If you have questions, or are eager to experience the mountains but less sure about skiing, please contact Recyclist’s Project Manager (and former professional cross-country ski racer) Emily Blackmer at eblackmer@recyclist.co. Registration for the ski day is open! If you haven’t yet registered for SWANApalooza, you can register for the conference and the ski day at the same time. Or, if you have already registered for SWANApalooza, you can add the ski day by clicking “View or Change Your Existing Registration” on the log-in page. Register now.